E2k was in Vegas for the annual CES Convention, producing an exciting show for Monster Cable. 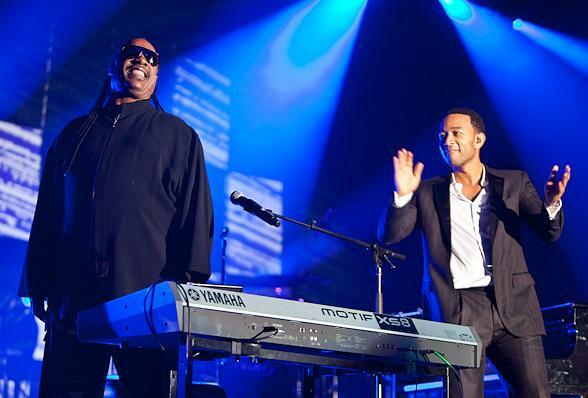 The show culminated with a concert by six-time Grammy-award winner, John Legend, and a surprise guest appearance by Stevie Wonder. 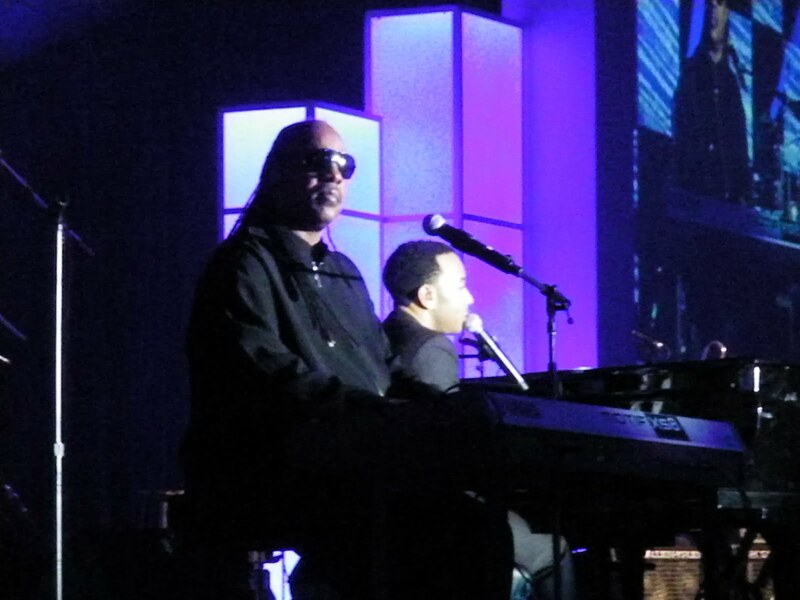 Over 4,000 invited guests filled the Paris Hotel Ballroom to hear Legend performed hits from his new Evolver album like This Time as well as earlier hits such as If You’re Out There and Green Light. He closed with a medley of Ordinary People into Wonder’s My Cherie Amour. 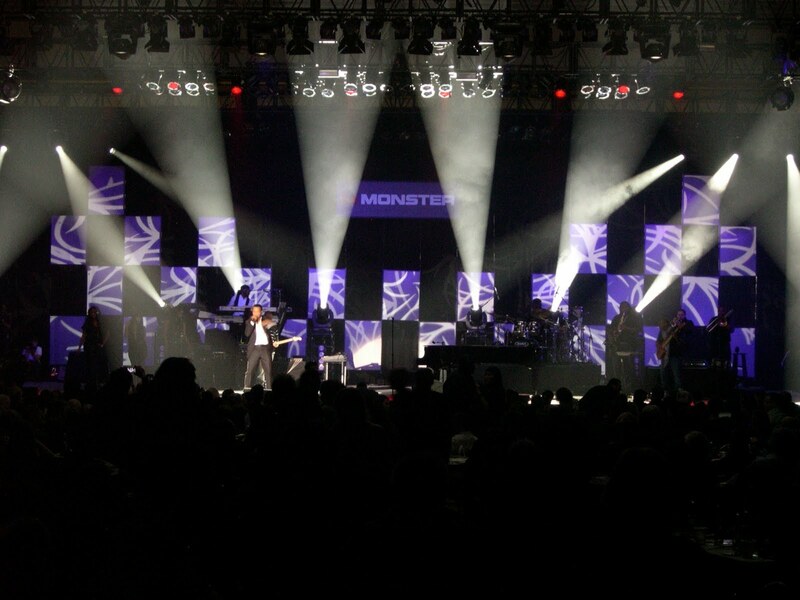 This was the seventh CES concert that e2k has produced for Monster and the company founder, Noel Lee. Previous shows featured Earth, Wind and Fire; Santana; Stevie Wonder, Rod Stewart, George Benson and Al Jarreau; and Mary J. Blige. In recent years the Monster line has diversified to include high-quality headphones and in-ear speakers that support the company vision that Sound Really Matters (because the music really matters). The Las Vegas show team included: Michael Olmstead, producer; Mike Brady, Technical Director; Trisha Ricci, Production Coordination; Tina Campos, Artist Coordination.